Capable of producing metal foil as thin as .001"
Ultra Series rolling mills are stronger than ever thanks to a new generation of precision machining. PEPETOOLS has engineered a unique housing for its rolling and power mills that maximizes durability and increases strength, all while decreasing overall mass. Standard on each mill are a high-performance 4:1 reduction gear box (giving you four times the strength of economy mills! ), turned with a high-strength forged steel handle; custom-designed, maintenance-free bronze bushings; and precision-hobbed solid steel gears. In addition, each roll is machined from select grades of high-density carbon steel alloy, hardened to 65 HRC in strategic locations utilizing the latest in induction heat-treating methods, and finally polished to a mirror-like shine. 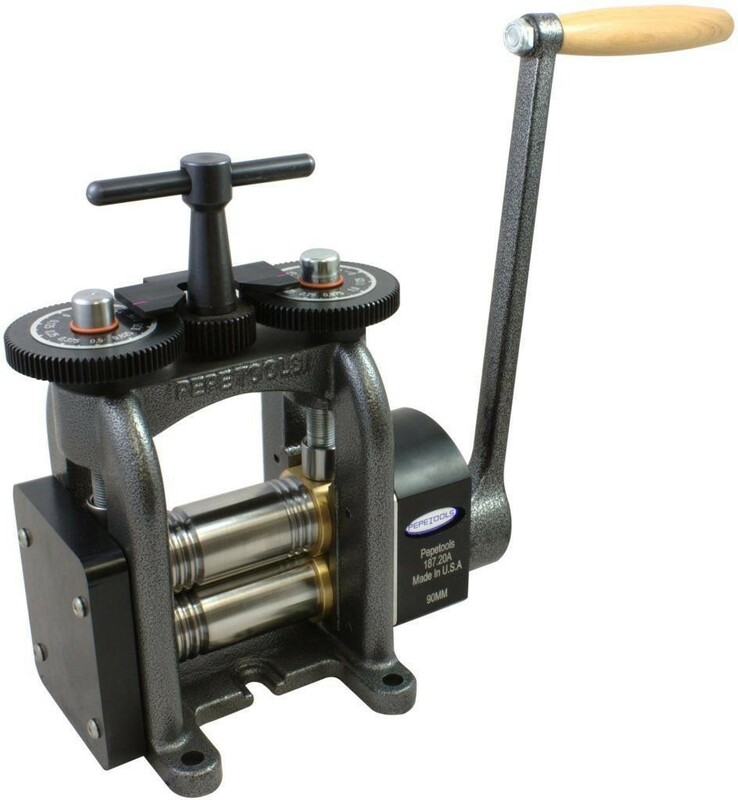 PEPETOOLS is proud to be the only American manufacturer to produce, design, and build rolling mills in the USA. 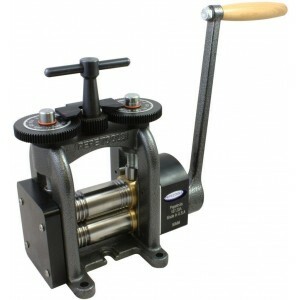 Pepetools™ 130 MM Single Combo Rolling Mill, #189.20A 5.0 out of 1 5 based on 1 ratings. 1 user reviews.